Remember the movie “Contact”? Jodie Foster’s character, the driven astronomer who first noticed the strange sounds coming from the VLA, is based on Jill Tarter. This intrepid scientist, whose undergraduate degree is in engineering physics, has what some may argue is the best and most difficult job in the world: trying to find evidence of an alien civilization. To date, says Tarter, we haven’t gotten a call or a text from ET, but that doesn’t stop her and her team from doing what they can to locate that needle in the proverbial haystack. The next star system is 25,000 light years away from us, so her operation may take awhile. Tarter spends much of her time these days on the road raising money for SETI science and the new Allen Telescope Array, a series of high-powered antennas dedicated to the search and to other radio astronomy endeavors. “Because it will have the ability to study many areas on the sky at once, with more channels and for 24 hours a day, the Allen Telescope Array will permit an expansion of Project Phoenix's [the previous major search project] stellar reconnaissance to 100 thousand or even 1 million nearby stars,” according to press materials at http://www.seti.org/. The array is partially funded by Paul Allen, the co-founder of Microsoft, but Tarter says $30 million is needed to fund the total construction, and several more million dollars are needed to pay for the research and the researchers each year. This figure is comparatively small to other astronomy and physics research projects, but after all, “the number of people who are doing SETI in the world can fit in a telephone booth,” says Tarter. But this number may get bigger. In 2009, Tarter won the TED Prize, an award, which along with $100K, comes with the ability of the winner to ask for a wish that will hopefully change the world. 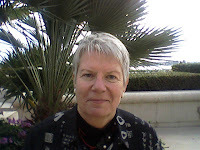 Tarter stated “I wish that you would empower Earthlings everywhere to become active participants in the ultimate search for cosmic company.” And in response, setiQuest (http://www.setiquest.org/), was founded, allowing regular folks to participate in the search for other beings and their technology. Below is an excerpt from my exclusive interview with Tarter held in San Diego on February 20, 2010. Telling the story. I become a bit of a chief cheerleader, maybe a little evangelical. SETI is one of those things that could change the world even if we don’t find a signal in my lifetime. It allows me to tell a story and involve people in the observing and give people a chance to see themselves as one species on a planet and perhaps trivialize the differences among humans. The very, very frustrating confusion between SETI and UFO research. It is infinitely galling to find out in first person how lacking in skeptical thinking our population is. If someone tells you they have seen something from an ET, either me from a signal or someone who was abducted for a salacious medical experiment, why should you believe anything without being able to be shown the evidence? But evidence and reality is not what people want. They want stories. What is the most intriguing question you have been asked about SETI and your work? Maybe more frustrating then intriguing – Isn’t 50 years of searching telling us there’s no one there? Many people think we’ve been searching exhaustively for 50 years and don’t grasp the size of the cosmic haystack were trying to explore. Here’s an analogy – assume your question is not is there technology anywhere else, but are there fish in the ocean? [The 50-year-search for extraterrestrial life is like] scooping up a cup of ocean water and looking for fish. You might see fish. If don’t see fish, you are not inclined to say there are no fish. …With respect to finding signals in noise, some of our early work was transformed into a test for finding microcalcifications in digital mammograms. This came out of an approach to do random transforms. What technology do you employ? The development of very fast photon counters at optical wavelengths and arrays of these counters allow us to look for nanosecond-quick really bright pulses. The development of those detectors and affordability has opened up optical SETI in the last decade. Now, I’m really excited about the Allen telescope, the LNSD or Large number of small dishes. Cheaper, commodity manufacturing techniques [are being used] to make the dishes. There will be innovative feed and receiver systems. The economics of a telescope are determined by how much it costs to make your dishes and how much it costs to make your receivers. Where those curves cross is the sweet spot. Interferometers have made this package chaeaper. It is a nice confluence of technologies. Plus we now have enough computer power to [analyze] a lot of data from a lot of different antennas. Since [Frank] Drake did the first radio search 50 years ago, we are 14 orders of magnitude more effective then frank’s original search. And it’s going to get better. In the event that you detect a signal, you have a Declaration of Principles Concerning Activities Following the Detection of Extraterrestrial Intelligence, endorsed by six international space organizations, as mentioned on the SETI website. The SETI Institute has a plan of action that resembles the Declaration of Principles. What are these? This stems back to the International Academy of Astronautics, which has a standing SETI committee for 40 years. During the Cold War, this was the only time we could meet with our Soviet colleagues. It was an attempt to think through if a signal was detected. [It was informal.] We encouraged our Soviet colleagues to act responsibly and resist pressures they might be under. This was first attempt [to design a strategy of what we would do]. So what would we do? Number 1: Check it. Make sure its not a hoax. Number 2: Tell the world. We said we would not transmit a reply until we confirmed everything – a first attempt to take a high road. But every time Freeman Dyson is near, [he always says] “that’s wonderfully high minded, but as soon as you announce a signal has been found, anyone with a transmitter is going to say anything they want.” He chuckles and says there would be a great cacophony, and wouldn’t that be the greatest statement about 21st century Earth after all? [Professor Paul Davies at Arizona State University has said that life in other places in the Universe, and even on Earth, may be unlike ours. The intelligent life you are looking for-] Could it be a kind that communicates differently? Paul Davies was part of a National Academies study on “weird life” – is it possible that life operates on a different metabolic path, doesn’t use DNA, has a different biology, and [even] could be on Earth? [These questions] simply point out that we’re looking for life as we know it and we’re not likely to find life as we don’t know it unless we set out to look for it. How do you look for something you don’t know? Is there anything else you want to share with physicists and physics aficionados? As most physicists know it’s a big universe out there. [SETI] may be multigenerational project – we need [physicists] as a scientific community to help us in the future to make this very awkward argument for growing in size and complexity and cost on the basis on previous failure. That’s a hard sell. But we hope they will continue to hold us to the kinds of standards of any other scientific exploration, and if we conduct ourselves well, they will rally for us and get clever and help us. I’m sure there is physics we don’t understand and in the future that might imply new technology we could employ. We should be open enough to bring in the new technology. Physicists have faced this in the past. [For example, the Laser Interferometer Gravitational-Wave Observatory (LIGO), a facility dedicated to the detection of cosmic gravitational waves and the measurement of these waves for scientific research, according to its website] needs to grow and had not detected gravitational waves…Physics has helped with this very awkward psychological [aspect of] funding – We may need to grow on the basis of failure and we could use their wisdom and their guidance and their support.